On July 29, 2016, the Elder Law Practice of David L. McGuffey will host the first Special Needs Roundtable in Dalton, Georgia. This event will not be your typical "talking heads" conference. Instead, our goal is to involve the audience and dig into issues relating to enhancing the beneficiary's quality of life and appropriate trust administration. This conference is intended for any professional working with special needs families. Attorneys, accountants, financial planners, bankers, insurance agents, and other financial professionals who work with special needs families should attend. This conference will also be of interest to attorneys and structured settlement professionals who work with injured individuals because they will want to understand how proper administration of a special needs trust can improve quality of life for their clients. Our Keynote speaker will be Hal Wright, CFP (author of The Complete Guide to Creating a Special Needs Life Plan, available on Amazon). Other confirmed speakers include Howie Krooks, CELA, CAP (former president of the National Academy of Elder Law Attorneys), David L. McGuffey, CELA, CAP, Pattie E. Kefalas Dudek, CAP, William H. Overman, CAP, Fred Phillips, CPA, William Frazier (SunTrust), and Robert Fechtman, CELA. Other speakers will be announced as they are confirmed. Topics will include planning for the beneficiary's lifetime, planning to fund the trust, the trustee's duty to provide for the beneficiary, trust distributions and public benefits, DCH perspectives on trust distributions and best practices, and a trustee's perspective on best practices. The Roundtable will be held at Stage 123 in Dalton Georgia (123 W. Gordon Street). This is a six (6) hour program from 9am until 4:45 pm. Registration is $200. Profits, if any, will be added to a fund to place a service dog in Northwest Georgia. Register Online. Seating is limited. Registrations will be accepted on a first-come-first-serve basis. Terms and Conditions. This is a rain or shine event. Registration is online. Lunch is included and a certificate of attendance will be provided to all persons attending. However, attendees are responsible for registering their own continuing education and paying all associated fees. A $50 cancellation fee for cancellations prior to July 15, 2016. On and after July 15, 2016, no refunds will be issued. We suggest staying at the Hilton Garden Inn, located at 879 College Drive, Dalton, GA 30720; (706) 529-6000. Other hotels include: Hampton Inn, Courtyard Dalton, Quality Inn, Comfort Inn & Suites, and Country Inn & Suites. Hal Wright, CFP. Hal Wright, CFP® is a nationally known consultant, author and lecturer on the subject of special needs planning. He is a parent of an adult with Down syndrome. He helps individuals, families and professionals to create plans that ensure an adult with a disability a rightful place in the community appropriate to his or her capabilities, needs and resources. He has developed advanced planning concepts, practices and tools: a systematic planning approach that focuses on an individual's capabilities and not the disability, how to create life and resource plans, how to explicitly link financial and estate planning to the life plan, how to estimate lifetime financial support, strategies for funding and managing a special needs trust, how to create the supports to make independent living possible, and how to plan for an individual's continued care after the parents or family members have passed away. Mr. Wright is the author of a book published in June, 2013 by Jessica Kingsley Publishers, Ltd: "The Complete Guide to Creating a Special Needs Life Plan: a Comprehensive Approach to Integrating Life, Resource, Financial and Legal Planning to Ensure a Brighter Future for a Person with a Disability." Howard S. Krooks, CELA, CAP. Howard S. Krooks, a partner of Elder Law Associates PA with offices throughout Southeast Florida, is admitted to practice law in New York (1990) and Florida (2004). Mr. Krooks is Of Counsel to Amoruso & Amoruso, LLP, in Rye Brook, New York. Mr. Krooks splits his time between New York and Florida, where his professional practice is devoted to elder law and trusts and estates matters, including representing seniors and persons with special needs and their families in connection with asset preservation planning, supplemental needs trusts, Medicaid, Medicare, planning for disability, guardianship, wills, trusts and health care planning with advance directives. Mr. Krooks is certified as an Elder Law Attorney by the National Elder Law Foundation and is a Past President of the National Academy of Elder Law Attorneys (NAELA). He is also the current President of the New York chapter of NAELA. He is a Past Chair of the Elder Law Section of the New York State Bar Association (NYSBA). He was selected as a Florida Super Lawyer and a New York Super Lawyer (2007-2015). He was also named a Top 25 Westchester County Attorney (New York Times – Sept. 2012-2015). Mr. Krooks has a 10.0 (Excellent) rating from Avvo and is AV Preeminent® rated by Martindale-Hubbell, a testament that Mr. Krooks’ peers rank him at the highest level of professional excellence. As a frequent lecturer, Mr. Krooks has addressed many organizations including NAELA, Stetson Special Needs Conference, ALI-ABA, ElderCounsel, WealthCounsel, the National Guardianship Association, the Florida Bar Association, the Academy of Florida Elder Law Attorneys, NYSBA, New Jersey Bar Association, North Carolina Bar Association, Utah Bar Association, Washington NAELA Chapter, the Pennsylvania NAELA Chapter, the Association of the Bar of the City of New York, UJA Federation, the Brooklyn Bar Association, the Queens County Bar Association, Berkeley College, the United Federation of Teachers and the New York State United Teachers, among others. Mr. Krooks has been quoted in The Wall Street Journal, The New York Times, Kiplinger’s, USA Today, The New York Post, Newsday, The Journal News and the Boca Raton News. He has appeared on PBS, the CBS Early Morning Show and elder law focused local cable television programs. Patricia E. Kefalas Dudek, CAP. Patricia E. Kefalas Dudek is the principal of Patricia E. Kefalas Dudek & Associates and the past chair of the Elder Law & Disability Rights Section of the State Bar of Michigan. Her practice concentrates in elder law, Medicaid, estate planning, estates/trust administration, probate, administrative law and disability advocacy. Ms. Dudek’s practice includes advising and preparing estate planning documents, including special needs trusts; representation in Medicaid hearings to secure appropriate services; administration of estates, trusts, guardianship, conservatorship, and other protective arrangements; and contested litigation in these areas. A prolific writer and lecturer on topics related to Medicaid, alternatives to guardianship and estate planning for people with disabilities, elders and their right to control their support services, Ms. Dudek was the author of the model contracts for Michigan’s Medicaid Self Determination Initiative. These contracts facilitate control over Medicaid service budgets and allows for creative solutions for housing and supports. Another creative solution used by Ms. Dudek on behalf of her clients is the use of a Pooled Account Trust for Medicaid planning. She was the first attorney in Michigan to draft one of these trusts and to secure approval for Medicaid by both the Social Security Administration and the State of Michigan. Ms. Dudek earned her B.A. degree from Michigan State University and her J.D. degree from the Detroit College of Law (now the Michigan State University School of Law), and maintains a membership in ASNP (Academy of Special Needs Planners, American Bar Association, State Bar of Michigan (member, Elder Law and Disability Rights Section), and the Oakland County Bar Association. Other honors earned by Ms. Dudek are: The National Academy of Elder Law Attorneys Powley Elder Law Award in Fall 2005, coveted Fellow Status from the National Academy of Elder Law Attorneys in Spring 2009, the Michigan Super Lawyers list as one of the top lawyers 2013; DBusiness, Detroit’s Premier Business Journal, named Dudek Top Lawyer for 2013; and Best Lawyers named Dudek as Michigan Lawyer of the Year for 2013. She was additionally named to the 2012 and 2013 list of Top Attorneys in Michigan by the New York Times. Lastly Ms. Dudek serves as a volunteer board member of The United Cerebral Palsy of Metropolitan Detroit, and is an active member of the National Academy of Elder Law Attorneys. These board positions are just some ways Ms. Dudek gives back to the community. David L. McGuffey, CELA, CAP. 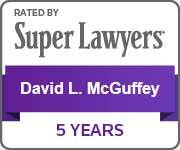 David L. McGuffey is in private practice in Dalton, Georgia and Cartersville, Georgia with the Elder Law Practice of David L. McGuffey, LLC. David limits his practice to Elder Law and Special Needs Law. That means David helps elders, individuals with special needs, and their caregivers. Much of David's practice is devoted to helping individuals with chronic health conditions find, get and pay for good long-term care. He also assists them with other concerns such as estate planning, special needs planning, and representation in court. David has been a Certified Elder Law Attorney since 2004. David is AV rated by Martindale-Hubbell, is rated 10.0 by AVVO and is a Georgia Super Lawyer. In 2012, David joined NAELA's Council of Advanced Practitioners. David is a member of the Special Needs Alliance, a premier invitation-only group of attorneys dedicated to the practice of disability and public benefits law. Robert W. Fechtman, JD, CELA. Robert Fechtman is a life-long resident of Indiana. He graduated from Northwestern University with a degree in music and a major in economics, and he received his JD from Rutgers School of Law. He also attended the University of San Diego’s Institute on International and Comparative Law at Magdalen College, Oxford University. In 6th and 7th grade, Mr. Fechtman went away to school to sing with the American Boychoir in Princeton, New Jersey. Mr. Fechtman focuses his practice on the problems of older and disabled persons, particularly special needs trusts, estate planning and trusts, health law, Medicaid planning, guardianships and decedents’ estates. He has been certified as an elder law attorney by the National Elder Law Foundation. He is a member of the National Academy of Elder Law Attorneys, and he is a Past-President of the Indiana Chapter of the National Academy of Elder Law Attorneys. He is a member of the Special Needs Alliance, which is a national, non-profit, invitation-only network of lawyers dedicated to disability and public benefits law. He is also a member of the Elder Law Section and the Probate, Real Property and Trusts Section of the Indiana State Bar Association, and a member of the Indianapolis Bar Association. Mr. Fechtman is a sustaining member of the Indiana Trial Lawyers Association. He is a frequent writer and speaker on a variety of estate planning, disability and elder law topics. He is currently serving on the Boards of Directors of the Special Needs Alliance, of the National Elder Law Foundation, which is the accrediting organization for elder law attorneys, of the Indianapolis Bar Association Estate Planning and Administration Section Executive Council, of The Indianapolis Children’s Choir, and of Tangram, Inc., which is a non-profit organization providing services to individuals with disabilities. Bill Frazier. Bill is the Manager of the Special Needs Trust Group and has been with SunTrust Bank for 16 years, specializing in Trust & Estate planning for individuals with disabilities. 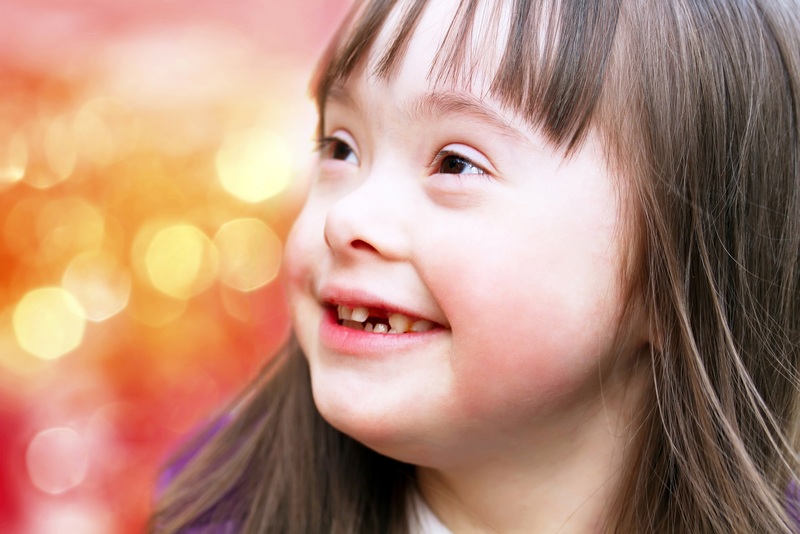 The Special Needs Trust Group is responsible for numerous relationships nationwide for individuals with disabilities and their families, addressing all of their financial needs. His extensive list of contacts around the country has afforded him the ability to serve as a resource for various types of services for colleagues throughout SunTrust Bank as well as the families he works with. Additionally, he created the Atlanta Special Needs Professional Group which is a forum for trust advisors, drafting attorneys, plaintiff attorneys, case managers and representatives from the Department of Community Health to discuss Special Needs Trusts and the changing laws. Bill currently serves on the Board of the Directors of the Georgia Chapter of Autism Speaks and the Disability Council for SunTrust Bank. He is a past Director on the Board of the Brain Injury Association of Georgia as well as serving on the Committee for Planned Charitable Giving with Southern Regional Medical Center. Bill has been a guest speaker on several occasions for ICLE meetings held at the Georgia State Bar on topics including SNT Administrative Techniques and The Trustee Selection Process and is a continual speaker for Crawford & Company, training incoming case managers on the relationship between the case manager and the Trustee. He also regularly volunteers his time to support organizations such as Camp Twin Lakes and Desire Street Ministries. Bill and his family are members of AllSouls Fellowship Church in Decatur. Bill attended the University of Florida, receiving his Bachelor of Science in Business Administration double majoring in Finance & Economics.